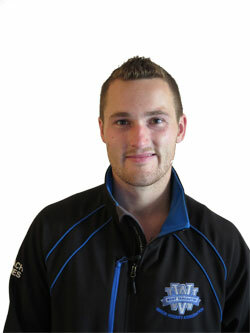 James Wall is the Director of Hockey Operations for WVMHA, runs the BC Spartans spring hockey program, and is the owner of Wall Professional Hockey Training Inc.
As a coach and as a director, James recognizes the game is always changing and he is constantly researching and fine tuning his approach to coaching. He believes that the game of hockey is all about quick decisions, as well as reading and reacting. He has instigated a number of changes to WVMHA and is very keen to bring more and more small area games to our association, as well as a puck possession style of play. James is a graduate of the University of Windsor who grew up playing minor hockey in BC. He had the opportunity to play for Team BC a few different times throughout his playing days and captained his Midget Rep team to a championship in his final year. He spent some time with the Jr. B Ridge Meadows Flames as well as the University of Windsor Lancers. James' biggest attribute is his leadership and his ability to help players achieve their full potential. James feels many hockey programs are losing sight of the individual and their specific needs and his goal is to make sure that all WVMHA players get the coaching and development they deserve no matter what age or playing level they are at. He truly wants his players to improve as hockey players and persons as well. When you meet James you will see the passion and dedication he shows for the game, and each player that he works with. 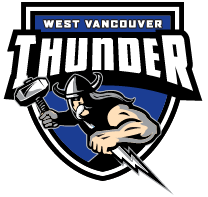 Inside Edge provides skills training for WVMHA and is one of the most recognized names in professional hockey training in the Lower Mainland. For the past 10 years Inside Edge Hockey Training has been providing hockey players with the greatest experience possible. “Giving you an EDGE up on life” is what we strive on offering everyday. Inside Edge hockey will fit into your families life. We provide a safe environment, work on creating friendships, enable individual growth, and most importantly give players a reason to come back to the rink. That is what “Giving you an Edge” is all about. Our coaching team are role models, teachers, leaders, and friends. We are always fair, encouraging and committed to you. Inside Edge is always growing and attaining more knowledge in and around the game of hockey. PFGS provides specialized goaltending coaching to WVMHA goalies. We believe that the foundation of everything goalies learn is based on positional mastery. From Novice aged beginning goalies to Pro caliber athletes, all our students are taught to continually work towards improving their positioning skills. Stressing confident positioning is where all goalies start. Once positioning has been understood and demonstrated consistently, our students are ready to start learning the mechanics of stance, movement, challenging shooters, rebound control, playing the puck, and directing play in the defensive end. These are all teachable skills that with our tested training methods have been shown to contribute to the exceptional development of goalies aspiring to raise their game to a higher level. Our Instructors are sticklers for details. Details on stance, positioning, holding your stick and other subtleties can mean the difference between the one that got past you and making the winning save. Students are constantly monitored and assessed for their adherence to practicing exactly as the instructors have explained. Long term, we have found that this attention to details makes our students more aware of the finer points of their game and aids in developing their mental toughness. Roger was recently named coach of the year in our association. He received glowing reviews from every player and parent on the Bantam A1 Team. Roger is a life long coach with an incredible way of dealing with players and getting the best out of them. He knows how to prepare his teams to win and be competitive in every game they play. Roger teaches players how to be quicker, knowing that quickness is what wins games, not speed. We are very fortunate to have Roger in our association. Coaching our Midget A1 team this season. Riley brings a wealth of playing and coaching experience to our association. Riley grew up playing hockey in Saskatchewan where he also played Junior hockey. He spent the last 4 seasons coaching with Vancouver Minor. Riley loves the speed and skill side of hockey, but being from the Prarie’s he also like the physical aspect as well. Riley is committed to making our Midget program as competitive as he can and his goal is to lead us back to the Provincials. Ty brings pedigree and many years of coaching experience despite his young age. Prior to joining WVMHA, he coached for more than six years at the North Shore Winter Club. He is now in charge of the WVMHA Peewee A1 team. We are fortunate to have him. He is also a highly respected coach of the BC Spartans spring hockey program. In addition, Nadia Vidas + Noony Santos Paletta are the co-founders of iUBER wellness, specializing in kinetic based workplace wellness programs in the area of EAT, PLAY, SLEEP + TALK. 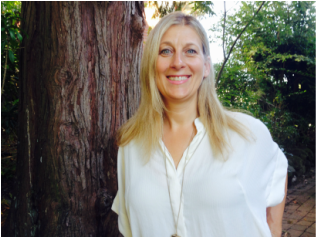 In her years of practice, Nadia has successfully worked with numerous families, adults, athletes and sports groups in helping them achieve their best health.